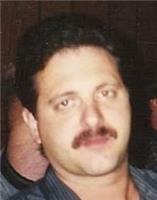 "I will miss you buddy jack osborne"
"a good frind love you buddy I will miss you"
Robert F. Guido, 59, of Mt. Vernon, IN passed away April 9, 2019 at Deaconess Midtown. He was born March 16, 1960 in Saratoga Springs, NY to the late Ralph J. and Elizabeth (DiPasquale) Guido. Bob was a 1978 graduate of Mt. Vernon High School. He had worked at General Electric/Sabic for 38 years as a shift technician specialist. Bob was an avid football fan and liked sports cars. He enjoyed spending time with his family and friends, especially Sunday rides in the convertible. He was preceded in death by his brother, Ralph P. Guido. He is survived by his wife, Shannon (Harmon) Guido; sons, Anthony and Garrett Guido; daughter, Lauren Guido; granddaughter, Hailey Brandt; sister, Renee (Roger) McBride; nieces, Christine (Dave) Arnold, Jennifer (Wesley) Nemitz and Bailey Hallam; and nephew, Jackson Hallam. Funeral service will be held at 11:00 am on Friday, April 12, 2019 at Schneider Funeral Home, 512 Main St., Mt. Vernon, IN, with Pastor Mark Tabor officiating and burial to follow in St. Matthew Cemetery. Visitation will be held from 9:00 am until 11:00 am service time on Friday at the funeral home. Memorial contributions may be made to the American Liver Foundation. Condolences may be made online at "http://www.schneiderfuneralhome.com"